Check out any Street Sects album artwork, and you’ll feel like you’ve plunged into the gritty, harsh world of a hardboiled crime novel, a genre famous for its unflinching realism and toughness. Adjectives that can well be applied to the music this duo from Austin, Texas creates, as well. Music is often described as escapism, but when Leo Ashline hollers, shrieks and proclaims hard truths over Shaun Ringsmuth‘s pounding, pulsing rhythms, it’s the absolute opposite – it’s as if someone’s forcing your eyes wide open, Clockwork Orange-style, to stare at the ugliest and harshest realities this world has to offer. And yet, as their remarkable albums End Position (2016) and last year’s crushing The Kicking Mule have shown, within this visceral scenario, just like life itself, even when lived in the gutter, fragile moments of fleeting beauty can be found. A little melody that manages to survive the noisecore/industrial soundscape and remain with you, a bleak lyrical passage that resonates deeply, something is always there, just beyond the black curtain of reality. We’re sure that by the end of the beating we will take at their Roadburn show, we will feel the same way – exhausted, surely, even more disillusioned with the world than before (if that’s possible), most likely, but with a quiet and unexplainable euphoria growing within us. 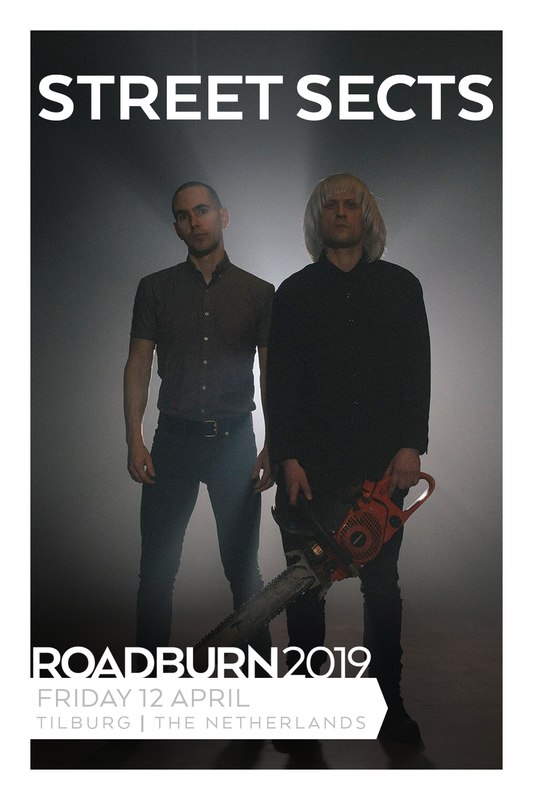 Toughen up, wear your thickest skin, and come take a good hard look at Street Sects at Roadburn 2019 on Friday, April 12.